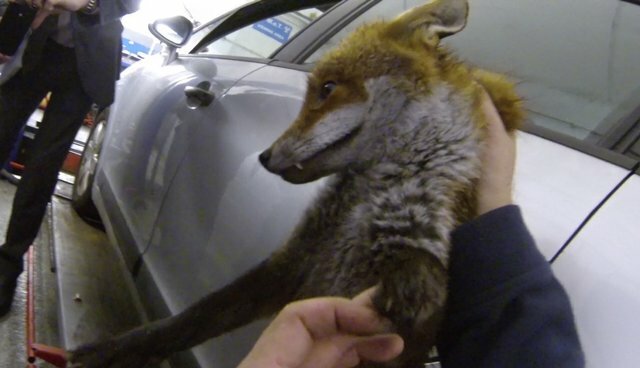 A garage in New Malden got a bit of a surprise when they discovered a fox underneath the car they were about to service. The fox seemed injured and didn't want to move, even if the workers tried to tempt her with sausages. Johnny, one of our wildlife rescuers, grasped her quickly and removed her from her hiding place. She was brought back to the hospital to receive treatment on her front left leg and is, now, quietly recuperating in a warm pen!